On the road today, I spotted my friend and 2011 Furnace Creek 508 Champion, Adam “Rock Rabbit” Bickett. We ran into each other on the inside climb of Torrey Pines and did then rode together for about an hour before we went our separate ways. I wish Rock Rabbit good luck at his next two big events, Hoodoo 500 and the Furnace Creek 508. 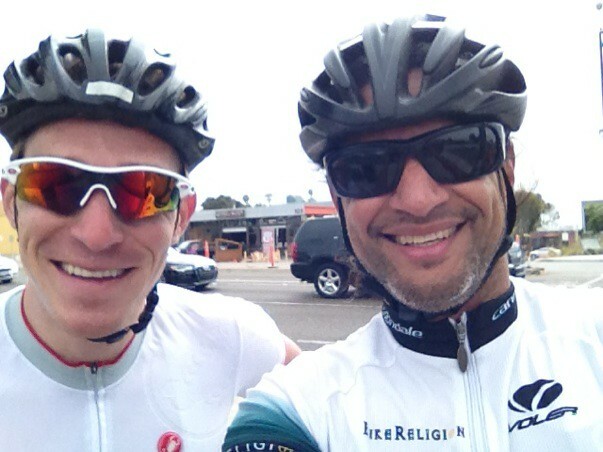 This entry was posted in 2011 Furnace Creek 508, friends by REV Cycling Directeur Sportif. Bookmark the permalink.